Kansas motor vehicle records are maintained by the Kansas Department of Revenue. They keep a record of each motorist’s driving history and this record is regularly updated each time that a change to the record occurs. The report contains facts about a driver’s history including any traffic offenses, tickets, or violations which occurred while they were driving in Kansas as well as out of State. It is recommended to check your Kansas DMV license history regularly in order to determine if there are any errors listed there on record. By requesting a copy of your license history in Kansas, you can be certain that all of your information is fully accurate and up to date. What is on My Kansas DMV License History? Your Kansas DMV license history contains a comprehensive list of all of your traffic events since you became a registered driver in the State of Kansas. The Kansas Department of Revenue will update this record if there was a recent car accident or if a new traffic ticket was reported. You can obtain a copy of your DMV license record in Kansas right here at 4safedrivers.com. We offer access to your driving records quickly and securely. 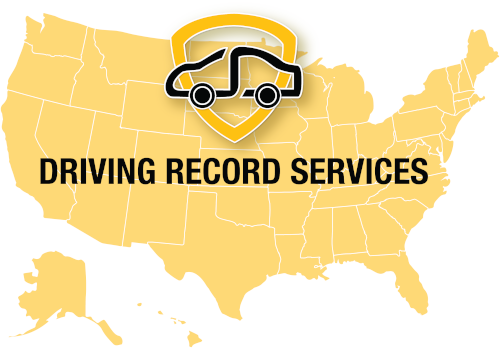 If you are wondering how to pull your driving record in Kansas, our speedy online service makes it possible to obtain your driver history quickly. The information you will find on your Kansas driver DMV license history is outlined below. How Can I See My Kansas Driving Record? Drivers wondering how they can see their driving record in Kansas can obtain a Kansas DMV driving record very easily online. We provide access to your driving record that is managed and maintained by the Kansas Department of Revenue. This department can also provide a copy of the license history to any driver that requests one whether they have a standard license, commercial license, or learner’s permit. However, the process of waiting for your driver history to come in the mail can be a lengthy one. This is why the fastest way to know how to get KS driving record is by ordering a copy online. What Will You Find on Your Kansas Motor Vehicle Report? Each driving abstract in Kansas contains information that correlates to a driver’s history while operating a motor vehicle in the state of Kansas. It also records information about a driver’s history while traveling outside the state of Kansas including any tickets, infractions, or convictions. Depending on where the report is ordered from, you can receive a partial summary of your driver license history or a full and comprehensive report. How To Find Out How Many Points On KS license? In the State of Kansas, there is no established point system, however, the Kansas Department of Revenue maintains an active list of any violations. When a certain amount of violations has accumulated on the license record, the license can become suspended or completely revoked. It is important to contact your local Kansas DOR office in order to have any erroneous information adjusted from your report. By checking your KS DMV driving record regularly, you can tell whether or not you have any violations listed there. Drivers in Kansas who want to check Kansas license points can simply check for the number of violations by requesting a KS driving record online. At 4safedrivers.com, we can provide a convenient copy of your driving record in Kansas to you by email. Simply fill out the short request form to have your copy sent to your preferred email address. How Do Kansas DMV license points Affect Me? Since the Kansas DOR does not use an official point system, drivers will not have to worry about how many points there are on their licenses. However, they do need to be aware of racking up too many violations and offenses. These can work against you by raising your insurance rates as well as compromising your ability to obtain employment in the commercial driving industry. Too many violations on your Kansas driver’s license could result in your license becoming suspended, canceled, or even revoked entirely. Taking a defensive driving class can help with clearing your license of negative information. You can also clear adverse listings by contacting the Kansas DMV regarding any incorrect information listed on your DMV license report in Kansas. Why Check Your Kansas Driving Record? It is recommended to check your driving record at least once every year or every three years at the minimum. This is because information about your driver history reported on your driving record could be negatively affecting you. Obtaining a copy of your Kansas driving record is recommended for every motorist registered with the state of Kansas. One of the primary reasons to obtain a copy of your KS driver’s license history is to find out about any traffic violations or convictions that are listed there. The Kansas Department of Revenue record has a section listing any DUI convictions that took place in or outside of the state of Kansas. This record may be necessary to produce to courts or for your own personal knowledge. Another important reason to request KS driving record reports is to find out the status of your license. If your license was suspended and you didn’t receive a notice in the mail, this doesn’t absolve you of responsibility. This is why checking your driving record can be helpful so you know the status of your driver’s license. You may discover that your driver’s license has been suspended, canceled, or revoked entirely. Checking a potential employee’s driving history is actually becoming more common. It’s important to check your driving history for yourself before your potential employer does so that you will be well prepared or any undesirable information listed there. Any violations which took place while you were driving will be reported for the previous three years. After some time, the violations may no longer be reported. If you are wondering how to obtain KS driving record reports, you can do so online and see any traffic violations that may be listed about you. To order a copy of your driver history in Kansas, simply fill out this short request form to get started. If there is any incorrect information found on your driving history report, you can benefit by adjusting it with the Kansas Department of Revenue. A more positive driving report will work in your favor as insurance companies will view you as less of a risk. An updated report with fewer violations and offenses means lower insurance premiums. Where to Get a Kansas DMV Abstract? A Kansas DMV abstract also known as an H6 KS DMV can be obtained securely from your local office at the Kansas Department of Revenue. However, as an alternative, 4safedrivers.com can also provide you with the exact same copy you would receive at the DMV by email. We have been offering quality drivers license records since 1999 and we have streamlined the process completely. We make it simple for you to get your KS driver history by simply filling out our short online request form. Your driver record will then be delivered to you securely through email after we verify your identity. We want to make sure that it is really you requesting your driver record so that you can be protected throughout the process. How Long Will it Take To Get My KS Driving Record? When you request a copy of your KS DMV license report, you can receive it by email within just a few minutes. We take pride in making sure our customers get the fast and accurate driver license record services they deserve. For over 20 years, we have been a leader in the industry providing fast access to the most updated version of the driver license history report in under 24 hours. It will only take a few minutes to receive a copy of your driver license history record securely by email. How Accurate Is My KS Driving Record Report? The Kansas Department of Revenue maintains accurate and updated information regarding the driving history of each driver registered in the state. This means that all of the driver record abstracts reflect the most current information that the DMV has available. At 4safedrivers.com, we provide you with the exact same copy offered by the KS DMV. We never source our records only from public records. Instead, we give you the same information that is on file with the Kansas Department of Revenue. However, this doesn’t mean that there aren’t any errors listed there. You can check your record periodically to confirm the accuracy of your driver license record in Kansas. Place your secure order online with 4safedrivers.com today.